In the State of Texas, building permit requires an asbestos survey before demolition or renovation to determine whether a building has any asbestos or not. In general buildings built before 1980 should have asbestos. 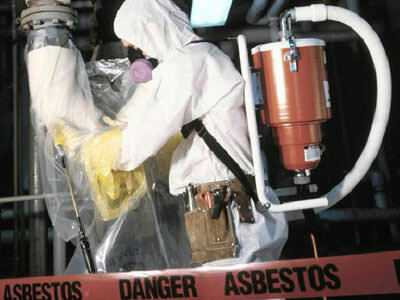 An ECS licensed professional inspector will go to the site, collect samples of all asbestos containing building materials (ACBM) inside the building, fill out a chain-of-custody, make a sketch of the site and location of where samples where taken from, and send the samples to an independent licensed laboratory. A report will be generated by ECS to inform the client about the sample results and whether the samples has any asbestos. If asbestos is present, ECS will assist the client to line up a certified abatement contractor to remove the materials properly according to EPA, OSHA, and Texas Department of State Health Services (TDSHS). ECS will generate the work specifications (spec) detailing how the abatement contractor is to perform the removal process according to EPA, OSHA, and TDSHS. ECS will run air samples inside the work area and outside the work area. ECS will run final clearance samples at the end of the project to make sure that the air is clean and safe for the general public to re-enter the work area. A final report generated to the client will include the air monitoring results, the workers licenses and submittals. 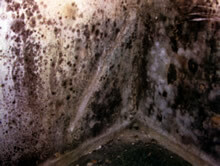 Many commercial and residential buildings are infected with mold issues. ECS has the qualified and licensed professional Industrial Hygienists to test and visual inspect for mold. ECS provides air sampling, bulk sampling, tape lift sampling, and swab sampling in order to determine the kind and quantity of mold. ECS provides comprehensive services to investigate moisture intrusion, determine the mold source and make recommendations on mold remediation. ECS is proud to have a wide range of clients including banks, industrial and real estate management companies. ECS will develop the project remediation protocol required by the state health department rules and regulations, oversees the remediation process, which include verifying engineering controls, project monitoring, visual inspection, testing inside and outside the work areas, clearance testing, and issues the post project report. ECS provides a wide range of indoor air quality services such as periodic building testing to address the most common indoor air contaminants that might be responsible for creating health effects including microbial, chemical or physical exposures. Evaluation of building includes the inspection of HVAC systems on different floors or areas, sampling for known contaminants, measuring the levels of Oxygen, Carbon Monoxides, Carbon Dioxides, Volatile Organic Compounds, Ozone, Dust, Radon, and other Formaldehyde that might be affecting the air quality inside the building. Health complaints as a result of poor air quality results in productivity losses in the millions of dollars each year. Poor indoor air quality affects businesses and reduces work productivity. 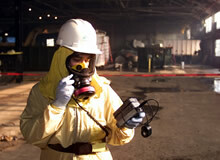 ECS through its Industrial Hygienists identifies exposures and risks in any worksite. Effective management of worker safety and health protection is an important factor in reducing work-related injuries. ECS uses effective analytical methods such as NIOSH, EPA, and OSHA methods in addition to the on-site measurements to detect workers exposure to contaminants such as chemical hazards, biological hazards, physical hazards, and air contaminants. If a hazardous conditions are discovered, ECS will recommend the appropriate corrective actions to avoid any possible danger. Providing a safe and healthy work environment is the most important concern for most employers in order to maintain higher work performance and higher productivity. ECS can help in implementing appropriate industrial hygiene and safety practices after analyzing the current work conditions and practices. Our industrial Hygiene can work with the management team to provide a program for Safety Audits and Occupational Exposure Monitoring which will imply with OSHA and AGGIH guidelines. Phase I reports are usually conducted for financial institutions (i.e. banks, lenders), real estate companies , insurance companies, and attorneys. Especially banks ask for phase I to ensure that the property they will be financing to buyers will not be listed on a state superfund list or is contaminated and requires expensive remediation. Typical format for phase I is the ASTM 1527 but in general the phase I report should be designed to provide as much as possible of information related to the subject site. Typical Phase I report will be divided into sections. An Executive Summary should summarize any environmental concerns on the subject property or the surrounding properties. An Introduction should outline the purpose, the scope of services, and methodology of the report. Description of the subject site should outline the boundaries of the property, topographic and drainage patterns, underground soil description and geology of the subject site. Description of the adjacent properties should outline the nature and use of the surrounding land and if there is any potential environmental concern to the subject property. Phase II is investigation of the underground soil, underground water aquifer, bedrock, and sediments. Any contamination on the surface could lead to contamination of the underground soil and underground water. 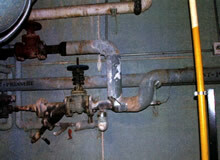 Phase II is required to examine the extent of the contamination if any from the source area (i.e. industrial source, gas station source, automotive garage source, dry clean facility source). Phase II is done by direct drilling of the soil and sample collection at certain intervals to be investigated by onsite geologist and by certified labs. Underground water samples is also collected from the temporary wells or from existing monitoring wells. Phase III involves the cleanup of a property according to the EPA or state regulation and to return it into an environmentally clean one (meets federal and state guidelines and regulation) in order to be able to sell it. This process involves excavation, transportation, and disposal of the contaminated soil using the most cost effective methods. The project will include the development of action work plan and completing response action report. A final written report will be generated at the end of each project outlining the all events occurred during the remediation process, samples analysis field and lab results, and recommendations to the appropriate environmental authorities.